I received this cuticle crème product as a giveaway gift about two years ago. Before then I have not tried any thing from Burt's Bees. I wanted to try their lip products, but I did not get around to it. 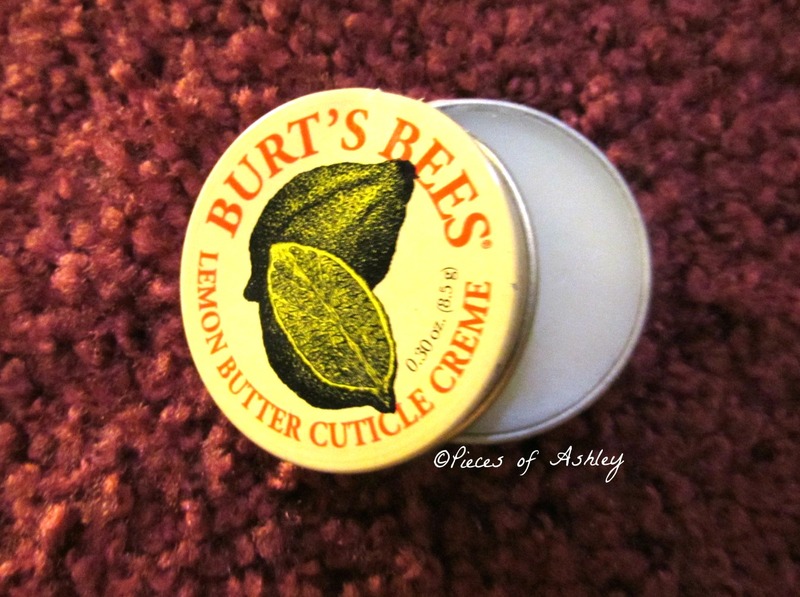 The Burt's Bees Lemon Butter Cuticle Crème is a soothing blend of natural ingredients that treats dry cuticles, brittle nails and chapped, cracked fingertips. In order to see a difference in your nails and fingertips, you need to massage into and around your nails nightly. I have not used this product enough to see a difference yet, but I can tell you that I am going to start using this regularly! The smell of this crème is lemon, but to give you an exact idea it smells like lemon heads! It actually smells really good and it feels so soft. You do not need a whole lot to apply to your nails/cuticles. A little goes along way! Even though it's a crème it feels like a moisturizer for your nails. It also keeps your cuticles hydrated. This is a good thing, because winter is coming and from experience in some areas I tend to have dry skin. I will definitely update you all on any changes this crème has on my cuticles! I hope you enjoyed reading! Have you tried any of Burt's Bees products?